DC Comics Batman Villains Playing Cards Just $6.06! Down From $12.99! You are here: Home / Great Deals / DC Comics Batman Villains Playing Cards Just $6.06! Down From $12.99! 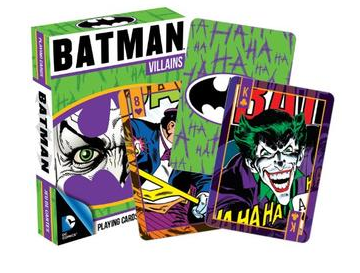 Sears has these DC Comics Batman Villains Playing Cards on sale for $6.06 (Reg. $12.99)! Poker sized w/52 designed faces; Cards are standard poker sized at 3.5″ x 2.5″; 100% Officially licensed.